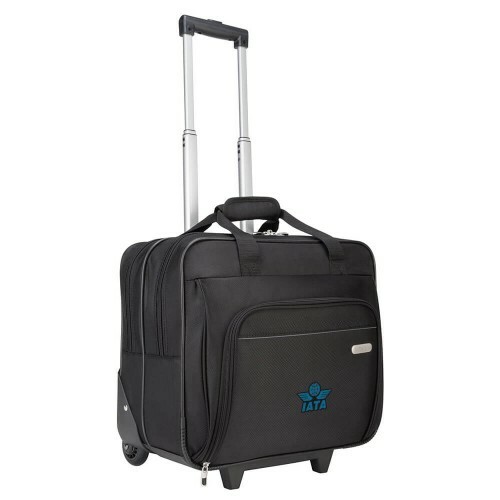 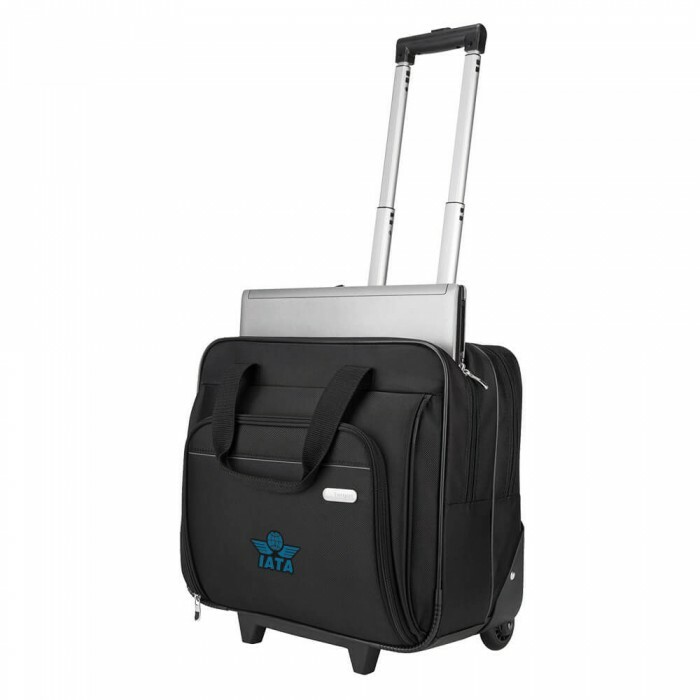 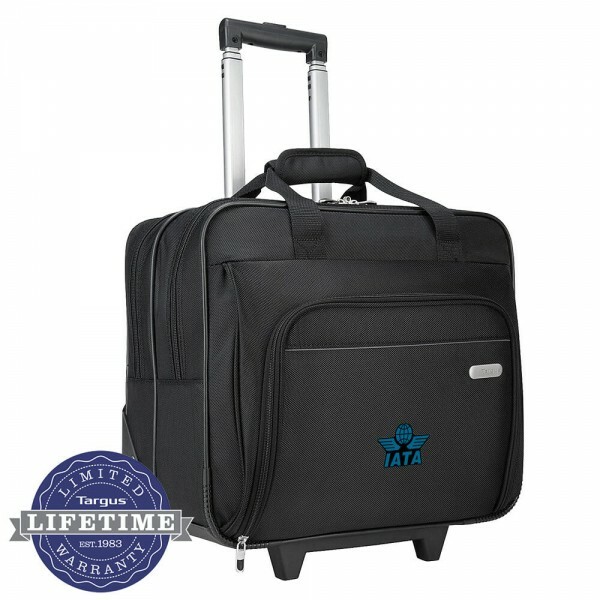 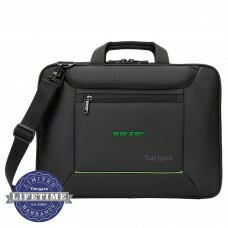 The Targus Rolling Laptop Case is designed to protect laptops with up to 16” screens. 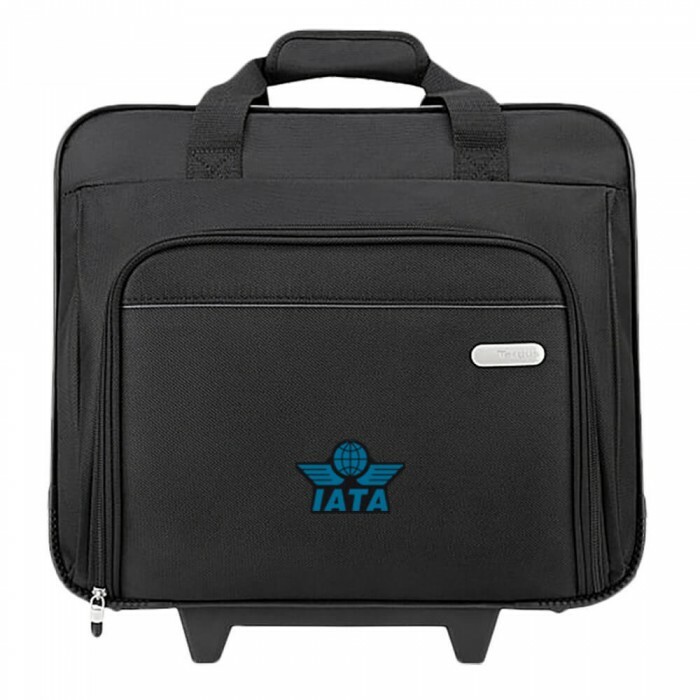 The closed cell foam padding keeps your laptop protected while the durable/water resistant 1200D polyester material keeps belongings dry in wet weather. 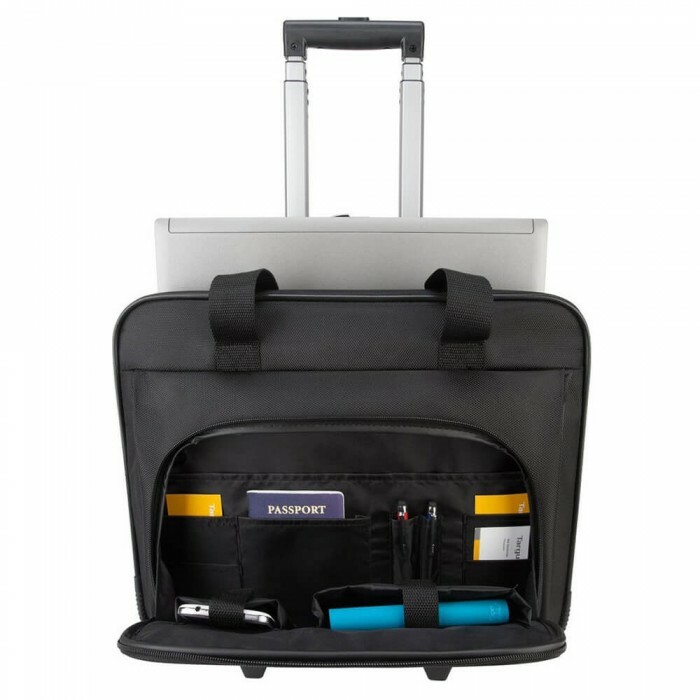 The front zip-down workstation includes pen loops, a business card holder, zippered pocket, cell phone pocket and large pouch to store additional accessories. The Metro Rolling laptop Case also includes a large zippered compartment to store office essentials or clothing for overnight trips. 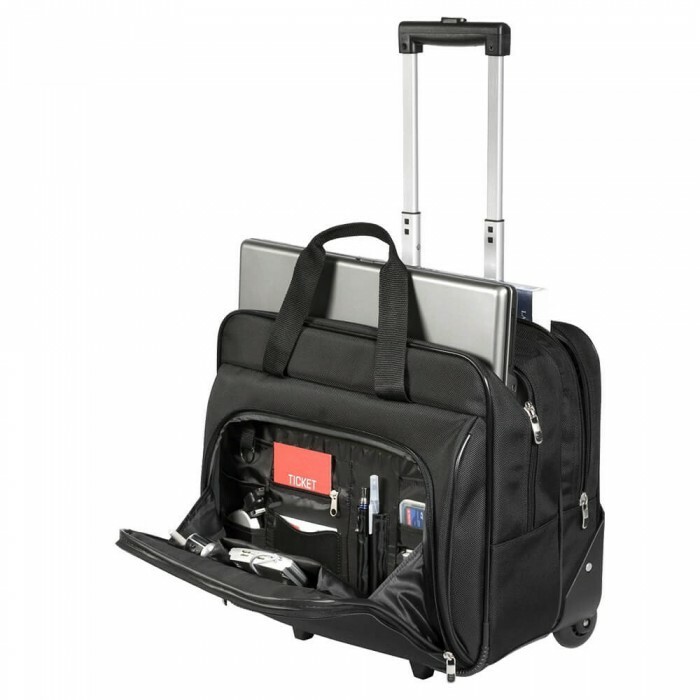 The telescoping handle retracts into a zippered compartment when not in use and the case includes a dual carry handle for added convenience. 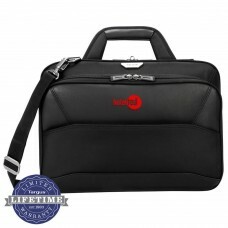 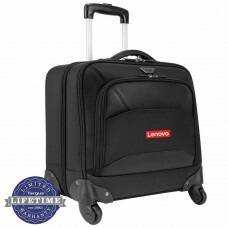 The Metro Rolling laptop Case is a functional transit case designed for professionals on the go. 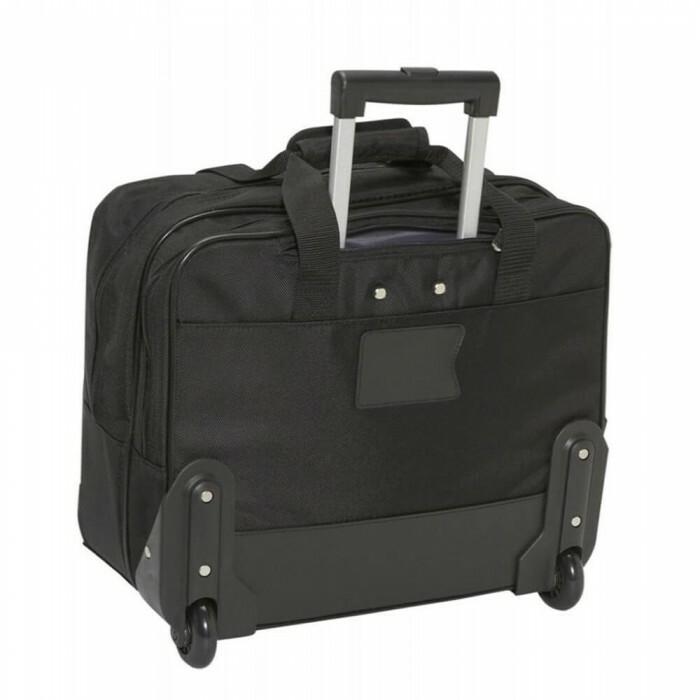 Size: 16 3/4L" x 9W" x 15 1/2H"